This attractive colt is by the sire of our very own Golden Slipper winner Vancouver, Medaglia D'Oro. Medaglia D'Oro has cemented himself as a reliable source of stakes winners in both hemispheres over the years. After 10 consecutive seasons, Medaglia D'Oro did not return to Darley last breeding season but he has certainly left a fine legacy at stud with Champion two-year-old Vancouver and Golden Rose winner Astern. Medaglia D'Oro is having an extraordinary season so far in the southern hemisphere delivering stakes horses over all distances and of all ages from a Group 1 classic winning three-year-old to multiple stakes winning two-year-olds, including smart two-year-old fillies Tenley and Flit. 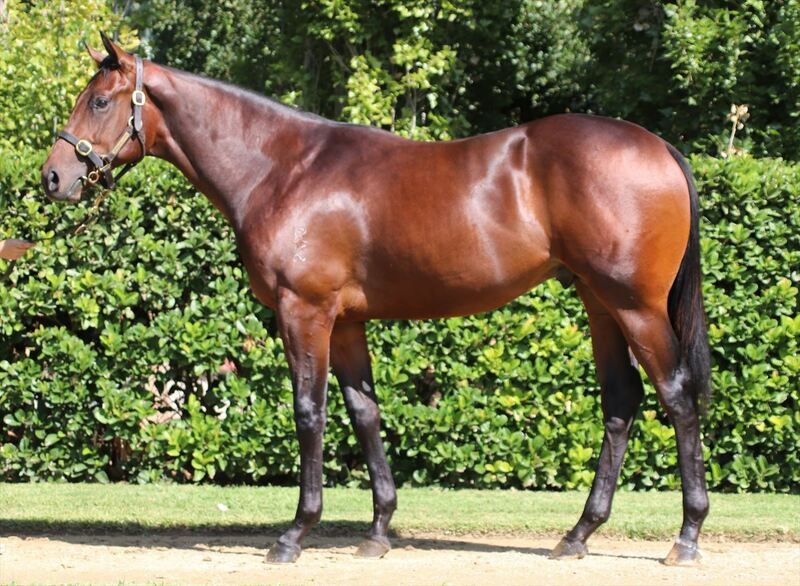 This colt is out of the Group 1 winner and talented race mare Invest. A city winner as a two-year-old, Invest really peaked as a three-year-old winning the Group 1 Schweppes Oaks and adding another Group 3 victory to her resume during her campaign. Invest's dam is the Group 1 Flight Stakes winner Unearthly who is by multiple Champion broodmare sire Zabeel. This family is a family Gai and Adrian know well with this colt's two-year-old half-brother Reinvest currently in training at Tulloch Lodge. He is colt that we are very excited about and hold a big opinion of so we were delighted to have secure his half-brother.